The most basic element in property maintenance is irrigation, as even the simplest lawn design requires regular watering in order for the grass to grow and thrive. Not only is water in and of itself the lifeblood of all plants and flowers, but it is also responsible for facilitating the absorption of nutrients and other essential processes. This is where the team from Lake Washington Landworks, LLC comes in, as the top specialist in irrigation in the Puget Sound Region. Commonly known as a sprinkler system, irrigation is the process through which a property receives the ideal amount of water in order to help preserve its health and beauty. While many home and business owners understand the importance of installing an irrigation system, few are aware of the proper installation and maintenance requirements. Still others attempt to save money by manually watering their lawns with a hose, increasing the risk of over- or under-watering and decreasing their own enjoyment of their property. Remember that smart irrigation is all part of protecting your investment. After spending so much on landscaping, why risk the loss of everything due to a drought, or not to be able to go away in the summer and return with a healthy lawn or garden the way you left it? People are sometimes embarrassed to spend money on watering and maintenance. It's actually more embarrassing to spend so much on plants, lawns and landscaping and not include irrigation and maintenance into the budget. There are numerous benefits to working with us on your property’s irrigation needs, ranging from practical to aesthetic. Our state-of-the-art irrigation systems are programmed to utilize water to its full capacity with a special focus on conservation. With assistance from our team, your irrigation system will not only deliver the appropriate amount of water to each plant type but also reduce your water utility bills and enhance your property’s curb appeal. 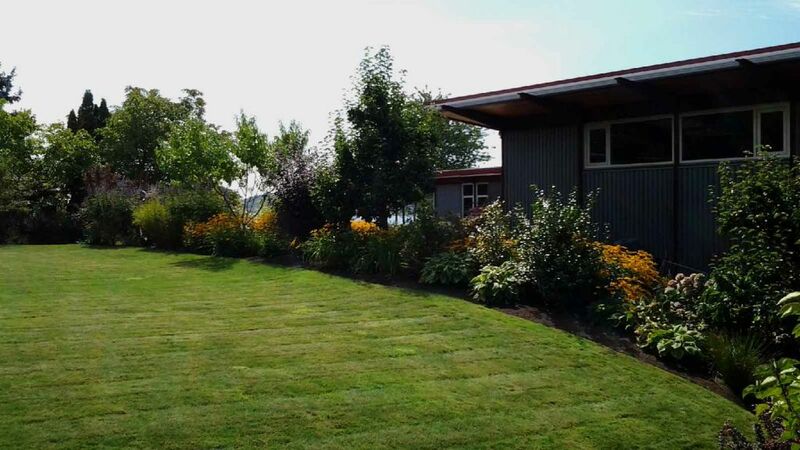 Whether your property consists of a simple green lawn both front and back or features an elaborate landscape design with many plant and flower varieties, our expert irrigation services can take care of it all. We are dedicated to allowing your eyes to enjoy the view of a beautiful and healthy landscape without having to lift a finger in order to do so. To find out more about how you can keep your outdoor space perfectly watered through irrigation in the Kent, Sammamish or Puget Sound Region, please do not hesitate to call or email us at Lake Washington Landworks, LLC today.